Belize is one of the biggest tourist destinations. Below are the top 7 nonstop airlines and flights to Belize. Belize is an English speaking country so it’s easy to make communication with its people. 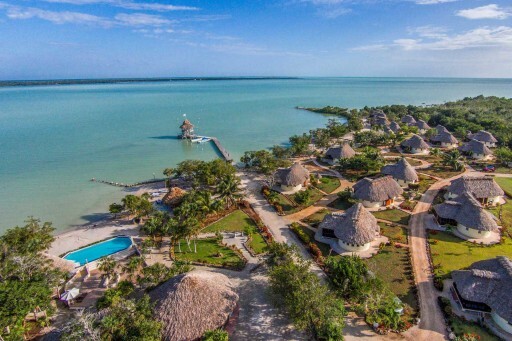 Belize is an ideal place for a summer vacation. According to Orbitz, Belize is a warm place to stay where land spanning can be done with ease and excitement. It can be really hard to survive in an early morning flight but, it is necessary depends on the destination’s or the nearest airport’s timetable. American Airlines offer daily flights from Miami to Belize all year-round including that departs five times a week from October to November. It also has flight schedules on an everyday basis for the remaining months of the year. American Airlines offer daily flights from Dallas to Belize, one that heads off on Saturdays for all months except October and one that heads off daily in all months excluding October and November. American Airlines offer daily flights from Los Angeles to Belize and Charlotte to Belize. During Saturdays and Sundays in all month, flights are also available excluding the month of October and November in which the flight is only Saturday. Los Angeles flights to Belize leaves at 12:15am and arrives at 6:17am. Charlotte to Belize flight takes up to 5 hours and 9 minutes travel time. Passengers must remember that the time in Charlotte is 2 hours ahead of Belize. From Avianca Airline, the flight schedule for San Salvador to Belize departs at 8:35am with the last departs at 8:35am. The approximate flight time from San Salvador to Belize is 1 hour. According to COPA Airlines, they offer direct flights from Panama City to Belize with the approximate travel time of 2 hours and a half. Flights like in American airlines are available on certain days of the week. Delta Airlines, offer a direct flight. Flights are available on specific days of the week or maybe once per week or season. The approximate time travel is 5 hours from Los Angeles and 3 hours from Atlanta. Based on Tropic Air Airlines, they offer flights from the international destinations such as Cancun, Merida, Roatan, San Pedro Sula and Flores. Flights’ travel time from Flores, Roatan, and San Pedro Sula are about 1 hour. The rest of the flights have about 1 1/2 travel time. The Approximate time travel is just over 2 hours from Houston and 4 hours from New York. It offers a direct flight from Toronto to Belize. This is the first airline to announce a direct regular service out of Canada. Since the airlines and nonstop flights to Belize are already given, it’s time to know the best about them. Take note, Belize is a very accessible place for a target tropical location. Hilton Worldwide advices all travelers to take a moment of break before they make a decision on what season they would travel. Most especially if they are going to travel with accordance of the season and the current weather. Orbitz adds that the dry season in Belize is from December-May while the wet season is from June-November. Hilton Worldwide tips off tourists that they better catch an early morning flight and they'll be on the beach before lunch!